Do you want a full-size passenger wagon? The Ford Transit Connect is a popular passenger wagon at our dealership because it offers many features. At The Razzari Auto Centers, we have a goal to keep our consumers up-to-date with our vehicles, so you can read more to learn about a few technology features that come with the Transit Connect. With the Transit Connect, you can choose the available SYNC 3 infotainment system. This infotainment system provides you with a user-friendly interface that allows you to easily connect to your smartphone. The team at The Razzari Auto Centers understands how busy life can be. When you are behind the wheel of a vehicle, though, you must focus on your driving only and not all of the other things that you need to get done. We want you to stay safe, and you must keep from being distracted while driving if you want to stay safe. The new Ram 1500 is hitting the road with a bevy of capability features designed to handle any challenge that you throw at it. This popular light-duty pickup truck is equipped with all that you need out of a vehicle of this stature. The Ram 1500 enthusiasts at The Razzari Auto Centers cannot wait to introduce you to this new truck and show you how it can make your life easier. The Ram 1500 offers multiple engine configurations, giving you the flexibility that you need to design the ideal vehicle for all of your needs. 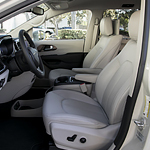 The Dodge Durango can be customized to meet your needs and your personal sense of style. One of the packages available is the Brass Monkey appearance package, which sees your vehicle coated in gloss paint and aluminum wheels. Furthermore, you can choose from a variety of interior features that aren't available or aren't standard in the typical Durango. Another feature package is the Citadel Anodized Platinum appearance package. It allows you to feel as if your a riding around in a luxury SUV without having to pay top end prices. There are many reasons our consumers at The Razzari Auto Centers choose the Jeep Renegade. If you are interested in the Jeep Renegade, we can provide you with details about the features that it has to offer. Let's take a look at a few of its notable capability features. The Selec-Terrain Traction Management System is featured with Renegade models that have a 4x4 system. It provides you with four drive modes that are Auto, Mud, Snow, and Sand. If you choose the Trailhawk, you also get Rock mode for increased off-road capability. The Nissan Versa is a popular subcompact sedan that is synonymous with great class and great performance. Whether you’re commuting to work and school or cruising down the highway, you’ll always get top performance from the Versa. At The Razzari Auto Centers, we want you to be fully informed when you decide to buy your next car, so come see us and we’ll show you what the Nissan Versa model range has to offer. Technology can be seen throughout the Nissan Kicks, starting with the Automatic Climate Control, which allows you to set the perfect temperature and know that it will stay there and keep you comfortable.